A Preliminary Ecological Appraisal (PEA) is the basic prerequisite survey for ecology investigations. 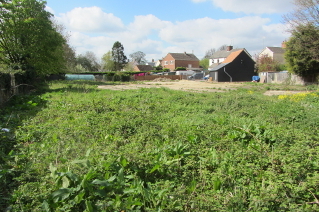 Cambridge Ecology is an independent, forward thinking ecological consultants that supports clients with ecological and planning matters, including mitigation measures and monitoring of protected species associated with planning applications and project implementation. We understand the difficulties our clients have trying to deal with project management issues such as time restrictions, costs and wildlife legislation. Where you might perceive a planning obstruction or costly ecological problem, we see a chance to be of assistance and make a positive contribution to sustainable development. Cambridge Ecology has been providing ecological consultancy services since it was founded in 2007 in Cambridge. We collaborate with our clients to: effectively meet wildlife legislation and planning policy responsibilities, obtain planning permission for developments, fulfil planning condition and Section 106 obligations, achieve BREEAM and Code for Sustainable Homes credits for ecology and biodiversity and implement an efficient project programme. Cambridge Ecology undertakes a wide range of ecology and biodiversity surveys, ecological impact assessments, ecological management plans and habitat creation design, and mitigation implementation. Our work is undertaken throughout the UK and overseas. If you would like to discuss any of our ecological consultancy services we are available for a friendly consultation and will work with you to provide the best information and solutions available. Our Ecological Consultants provide a full range of ecology surveys from initial Preliminary Ecological Appraisal to specific surveys for all British protected species. Ecology surveys are carried out by experienced and professional ecologists, licensed to work with protected species who understand their ecological requirement and the needs of our clients.